Meanwhile the famous installation artist Christo is over 80 years old. However, he does not even think about to stop. 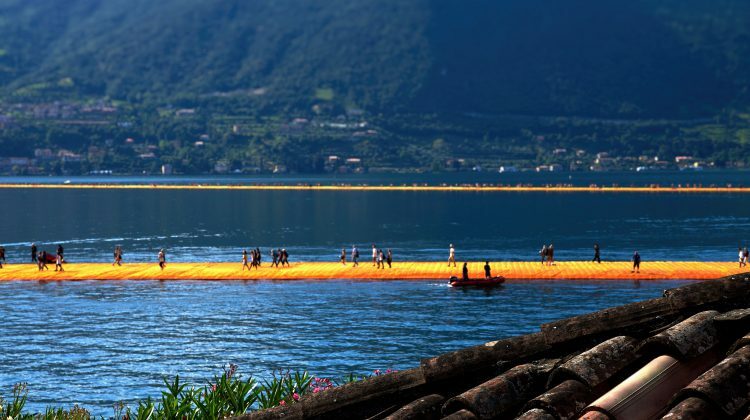 His latest project is to be seen at the Lake Iseo in Italy in June, where he connected the largest island of the lake to the mainland with floating bridges – the floating piers.